In a sign of growing escalation, LNA jets have bombed the capital, including a school playground. Earlier this week, the United Nations said the fighting had displaced more than 8,000 people. The meeting was scheduled to bring Haftar and al-Serraj together in the southwestern town of Ghadames on April 14-16. 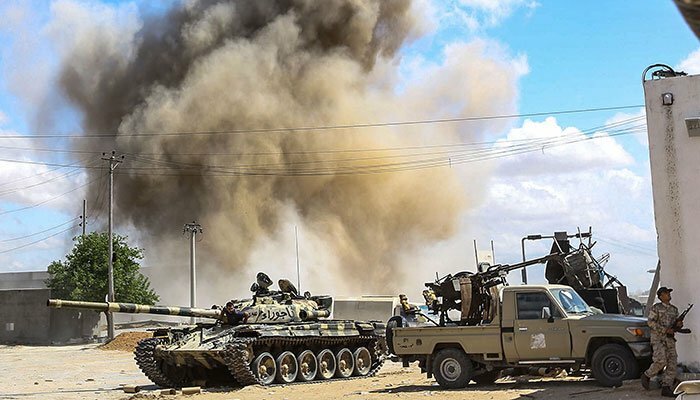 Haftar will ignore calls for peace and continue his bloody offensive on Libya's capital. "The president (Sisi) affirmed Egypt's support in efforts to fight terrorism and extremist militias to achieve security and stability for Libyan citizens throughout the country", according to a statement by the Egyptian president's office. "No matter how obstinate one becomes, there is no solution except a political one", Ghassan Salame said in a Twitter post.